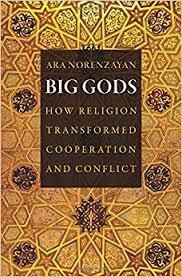 I’ve read Atran and also big gods. But I’ve gone more towards the Heinrich view (also Kevin Laland) on what is the most *fundamental* selection driver behind religion. First there was the norm. And it was good. and selection favored the norm (say, how to prepare food or make stone tools), which led to bigger brains for more clever norm following. And then the norm begat the rules. And then the norm begat the language. And the norm and rules begat the big rules. And the big rules begat the big gods. If writing goes back just 5,000 years, what does it mean that “we systematically coded records from 414 societies that span the past 10,000 years from 30 regions around the world, using 51 measures of social complexity and 4 measures of supernatural enforcement of morality”? How could we possibly know whether the gods of a society 7,000 years ago were moralizing gods or not? > This megasociety threshold does not seem to correspond to the point at which societies develop writing, which might have suggested that moralizing gods were present earlier but were not preserved archaeologically. 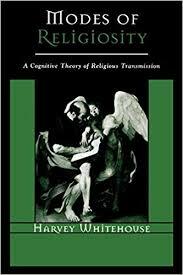 Although we cannot rule out this possibility, the fact that written records preceded the development of moralizing gods in 9 out of the 12 regions analysed (by an average period of 400 years; Supplementary Table 2)—combined with the fact that evidence for moralizing gods is lacking in the majority of non-literate societies — suggests that such beliefs were not widespread before the invention of writing. The few small-scale societies that did display precolonial evidence of moralizing gods came from regions that had previously been used to support the claim that moralizing gods contributed to the rise of social complexity (Austronesia and Iceland), which suggests that such regions are the exception rather than the rule. But if the analysis of societies without writing is limited to assuming that they don’t have moralizing gods, I don’t see what “10,000 years of records” is supposed to mean. There are no records that go back that far. I’m trying to imagine how their model would apply to the Greeks. In Homer the gods are already moralistic. In the Greek dark age there are no records. In the Mycenaean period, there are records, but no records that describe the gods. When do we think the gods became moralistic? My money would be on “during the Mycenaean period”, which would support the idea that complex societies develop moralistic gods — but there is no evidence to support that timing. If written records tend to indicate the existence of moralizing gods right from the beginning of written records, it seems like a safer assumption that societies without writing *do* have moralizing gods. They can’t be assuming that gods who are (later) attested as moralistic must also have been moralistic when they first appeared, because they say Mesopotamia developed moralistic gods in 2200 BC and Mesopotamian temples are much older than that. Just wondering how the complex societies of East Asia (Japan, China, Korea) fit into this theory. It seems as though they did just fine without “Big God” religions. When did China not have “Big God” religions? I came across this recent study just today. Like you, I was reminded of Norenzayan, even before I did a search to find that indeed he was referenced multiple times in the paper. A similar figure from much earlier is Julian Jaynes, originally trained in behavioral animal research but, along with neuroscience and social science, came to study history, ancient texts, and language. He drew heavily on certain philologists who were themselves influenced by the cultural anthropologists. Jaynes’ approach was broad and encompassing. The is a good point. The replication crisis has hit numerous fields, far beyond only psychology. But psychology is most obviously affected by the issue of WEIRD culture (Western, Educated, Industrialized, Rich, Democratic). 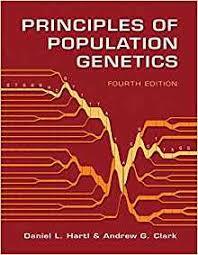 Further research of non-Westerners, such as hunter-gatherers, has proven that much of the research done on mostly white middle class college students in the US can’t be generalized to the rest of the world’s population. In fact, Americans are in many ways psychologically abnormal. That is what I wondered about. It had been a while since I read Norenzayan and so I wanted to figure out where this study might come to a different conclusion. It might help to put this in context of decades of scholarship. This study seems like an amalgamation of Karl Jasper’s Axial Age reframed with the dating of Julian Jaynes’ bicameral mind, although the latter isn’t mentioned at all. Jaynes proposed that late Bronze Age civilizations were becoming so complex as to make them hard to manage. This led to new forms of power, social order, and institutions. The period in question experienced the emergence of brutally violent authoritarianism with mass death tolls, written laws that were absolute and totalitarian (literally written in stone and hence unchangeable), standing armies, etc. This was a reaction to how precarious they were, as the old order no longer worked. 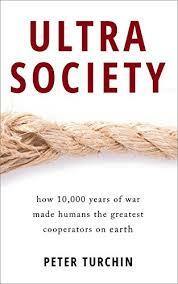 The societies were simply too large and complex. 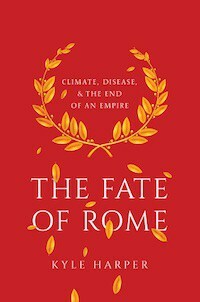 When disasters hit with waves of refugees, the empires toppled like dominoes around 1200 BC. Jaynes’ theory is a possible explanation of why and how this happened. You are thinking along Jaynesian lines.